Being in a wheelchair and nonverbal while trying to become an independent adult is very challenging. The simple things such as grocery shopping are almost impossible. 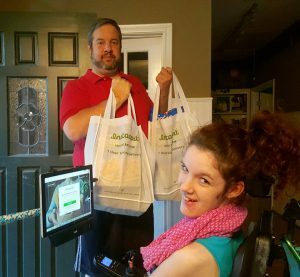 Instacart has been a key part of my independence. 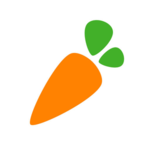 Instacart is a web-based service that has contracts with many large grocery store chains. With a click of a button, you can order your groceries, and they get delivered to your house in less than 2 hours. Never again do I need to ask someone to take me to the grocery store or go for me. Also, getting around a crowded grocery store is extremely difficult in a wheelchair. It does take time when you begin using Instacart to find the exact product you’re looking for. But, Instacart remembers your items so you can go back to things you order all the time. On the down side, there is a delivery fee and tip. However, all can be paid by credit card before they arrive, so I don’t have to ask anyone to give them cash. With the goal of moving out of my parents’ house in a year, Instacart has given me a sense of self-esteem that I can do this. With the use of technology, I feel empowered and independent. The Instacart app is FREE and available on both iOS and Android. Wow!! Megan is such an inspiration.